Geoff Turk flew his “Blackbird” Mopar Dodge Challenger Drag Pak straight and true all the way to the winner’s circle at the 17th Annual National Muscle Car Association (NMCA) World Street Finals at Lucas Oil Raceway at Indianapolis on September 23. The Yorkville, Illinois, native had ample reason to celebrate — he also wrapped up the 2018 Holley EFI Factory Super Cars class championship, and his ailing wife Sandy was there to experience their shared triumph. even-second range with a 7.996-second elapsed time at 170.10 mph. 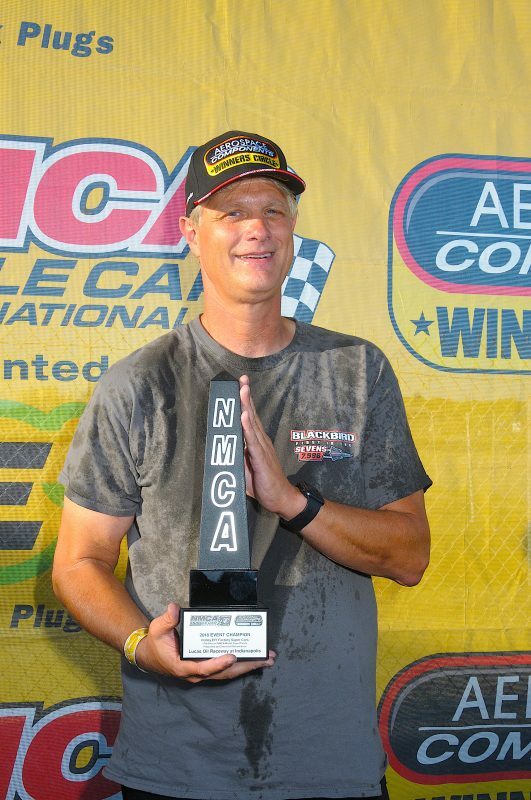 He would go on to finish-runner-up at Bradenton, and added a victory at the NMCA stop near Atlanta in April. Turk was unable to reach the final at the next three events after a series of unfortunate mishaps, leaving him trailing in the points chase heading into the season-ending event at Indy – the first at which Sandy would be in attendance to provide her support. 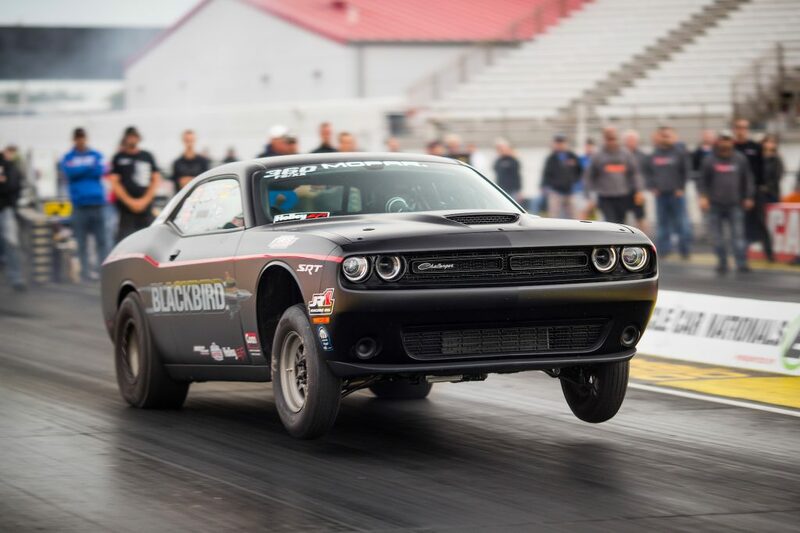 Turk’s “Blackbird” promptly soared to the top of the qualifying charts, earning him precious championship points on a scorching 7.984-second elapsed time in his Mopar Dodge Challenger Drag Pak — setting a new class record and clocking the only sub-eight second pass of qualifying. With the championship locked down after the third round, Turk marched to the final, where despite a 120-ft wheelie he was able to work his car back into the groove to stick it for an 8.06 pass in his supercharged, 354-cubic-inch. HEMI®-engine-powered Drag Pak to outrun Scott Libersher for the event win. “This season started out rough because I didn’t even know if I was going to have a season,” said Turk, who in 2017-2018 assisted Mopar and Dodge//SRT engineers and Don Schumacher Racing in on-track development of the combination that has led to back-to-back NHRA Factory Stock wins for Leah Pritchett. “This championship is hugely special. The heavy hitters are here. It’s a high caliber of competition.